Even at first glance, the vivid neon lights and dazzling fuchsia glitter embracing the palm trees and the skyline backdrop onstage screams “wild.” At the Custom Made Theatre Co., things are getting freaky. The corkscrew escalation of the one-of-a-kind production “Good. Better. Best. Bested.” delivers hysteria on a luxurious golden platter. 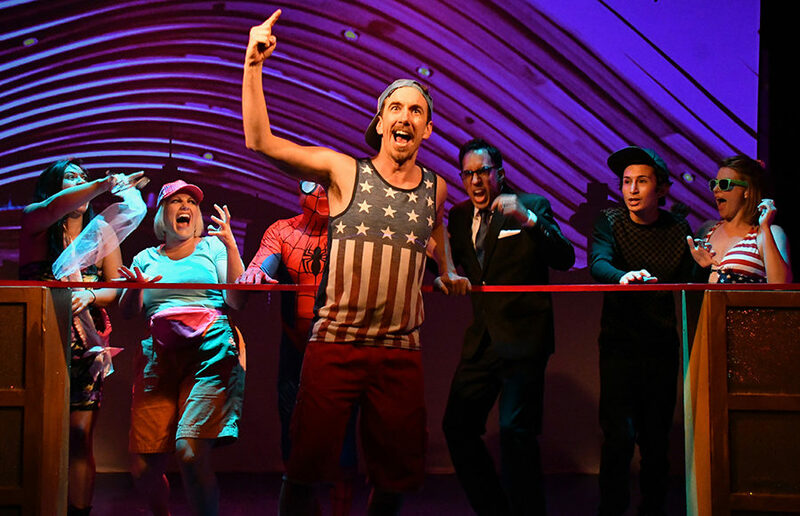 Audiences should strap in, because the comedy — written by Jonathan Spector, directed by Lauren English and co-produced by Custom Made Theatre Co. and Just Theater — provides one hell of a ride. “Good. Better. Best. Bested.” takes its audience on a tour through the Las Vegas Strip. Bachelorettes, magicians, gamblers and tourists roam the streets, but when nuclear war breaks out between India and Pakistan, their Sin City night gets turned upside down. 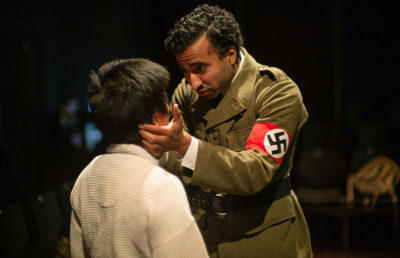 Although the play is a comedy, a darker message lurks behind the flashy lights. Its themes of transience and temporality are embedded in the gradual but clearly evident unhinging of the characters’ sanity, which is magnificent and rather cathartic to witness. These abrasive ideas and motifs are packaged and concealed into a glistening, enthusiastic, satiric and wild plotline, making “Good. Better. Best. Bested.” a multidimensional performance. To show all of these perspectives, the play relies on an abundance of quick scenes. Yet the short lengths of the scenes make the structure of the play less fluid and coherent. The fast pacing prevents the audience from forming deep connections with characters, making it struggle to keep up — and in that way, at least, it’s true to the experience of being out on the town. This brevity — coupled with clever and fast set changes — also contributes to the efforts of emphasizing transcience and temporality, themes particularly relevant to the city of Las Vegas. Custom Made excels at maximizing the use of its tight but cozy space. 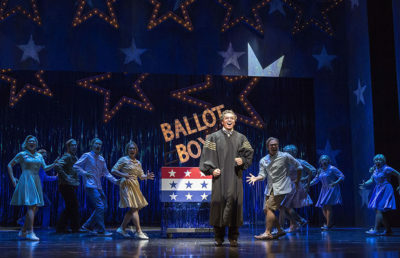 The moment the show opens, the actors break the fourth wall by delivering monologues in the midst of the audience, demanding undivided attention. The actors effortlessly succeed in retaining this attention through exhibiting an overall sense of anxiety, with Sheldon (Tim Garcia) demonstrating his impatience by constantly rattling his leg and occasionally biting his nails. A seemingly wholesome night between a prostitute and her client eventually turns humorously vulgar. These interactions between Alan (Gabriel Montoya) and Simone (Jessica Lea Risco) prove hilariously painful to watch, culminating in the show’s most memorable scenes by far. Risco’s unyielding sass, paired with Montoya’s ability to be as awkward and clumsy as possible, makes the encounter both terribly uncomfortable and extremely familiar at the same time. The script and the gestures are raw and gritty, unembellished with any Hollywood romance nonsense. The hilariously apt scene in which Sheldon feels the need to incessantly live tweet instead of bonding with his father Walter (David Sinaiko) delivers the harsh truth that although the characters believe that they are in an oasis of reprieve, technology keeps them in touch with the harsh realities outside the Las Vegas Strip. This scene cleverly highlights the underlying loneliness beneath the desire to be constantly connected to an online cloud, even if virtual empathy is fleeting and unsubstantial. Tipping on the precipice of comedy, “Good. Better. Best. Bested.” succeeds in establishing an overall aura of uncertainty. The highly cynical aspects of the play are presented through its arbitrary genre, and the toggling between contrasting atmospheres and moods brings to light the skepticism surrounding euphoria, empathy and eternity. “Good. Better. Best. Bested.” will run through July 7 at the Custom Made Theatre Co. in San Francisco.